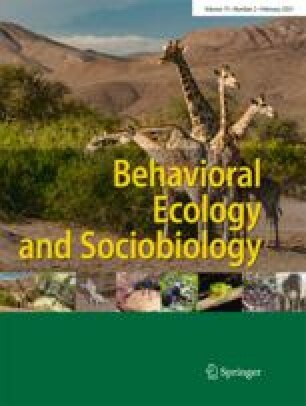 Foraging and the mechanisms that regulate the quantity of food collected are important evolutionary and ecological attributes for all organisms. The decision to collect pollen by honey bee foragers depends on the number of larvae (brood), amount of stored pollen in the colony, as well as forager genotype and available resources in the environment. Here we describe how brood pheromone (whole hexane extracts of larvae) influenced honey bee pollen foraging and test the predictions of two foraging-regulation hypotheses: the indirect or brood-food mechanism and the direct mechanism of pollen-foraging regulation. Hexane extracts of larvae containing brood pheromone stimulated pollen foraging. Colonies were provided with extracts of 1000 larvae (brood pheromone), 1000 larvae (brood), or no brood or pheromone. Colonies with brood pheromone and brood had similar numbers of pollen foragers, while those colonies without brood or pheromone had significantly fewer pollen foragers. The number of pollen foragers increased more than 2.5-fold when colonies were provided with extracts of 2000 larvae as a supplement to the 1000 larvae they already had. Within 1 h of presenting colonies with brood pheromone, pollen foragers responded to the stimulus. The results from this study demonstrate some important aspects of pollen foraging in honey bee colonies: (1) pollen foragers appear to be directly affected by brood pheromone, (2) pollen foraging can be stimulated with brood pheromone in colonies provided with pollen but no larvae, and (3) pollen forager numbers increase with brood pheromone as a supplement to brood without increasing the number of larvae in the colony. These results support the direct-stimulus hypothesis for pollen foraging and do not support the indirect-inhibitor, brood-food hypothesis for pollen-foraging regulation.